Sagan hoping to bounce back from early-season illness and Sanremo disappointment in time for cobbled monuments. SANREMO, Italy (VN) — Another edition passed and cycling’s top star Peter Sagan (Bora-Hansgrohe) leaves Milano-Sanremo without the trophy. Many would celebrate a fourth place, but Sagan expects more with rich palmarès that include three world titles, Tour de France stages, the Tour of Flanders and Paris-Roubaix. He wants the win but realizes he must wait at least until 2020 to have another chance. It was his second fourth place, adding to two runner-up spots from previous years. Frenchman Julian Alaphilippe (Deceuninck-Quick-Step) won in Sanremo this time. Oliver Naesen (Ag2r-La Mondiale) placed second and 2017 winner, Michal Kwiatkowski (Team Sky) third. Around 45 minutes had passed since the finish. Seemingly so upset, Sagan would not talk immediately after the finish. Once back at the team’s black and green bus, he lightened up. Sagan suffered from stomach problems and diarrhea for six days ahead of the Tirreno-Adriatico stage race last week. He began, but admitted he was not at his best. He appeared to be back and firing in the first monument of the 2019 season. Sagan jumped right on the wheels of rival Julian Alaphilippe when he attacked to an eventual win. Their group grew to include others like Alejandro Valverde (Movistar), Tom Dumoulin (Sunweb) and Matteo Trentin (Mitchelton-Scott). Sanremo is unpredictable. It used to be a casino town where people would gamble thousands of lira. Now, it is known more for its annual music festival. For Sagan, it was more the former and he found himself with bad cards. “Trentin tried to attack in the last two kilometers and I just tried to close the gap. After another tried to attack and then Alaphilippe tried to attack, Mohoric attacked. Then we all came together and I think Alaphilippe,” he explained. Sagan’s hope is that he rebounds for the cobbled classics. 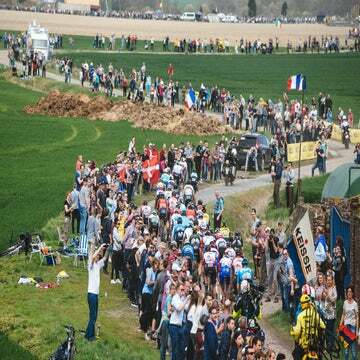 He travels north for E3 on Friday and from there, the big cobbled monuments: the Tour of Flanders and Paris-Roubaix.